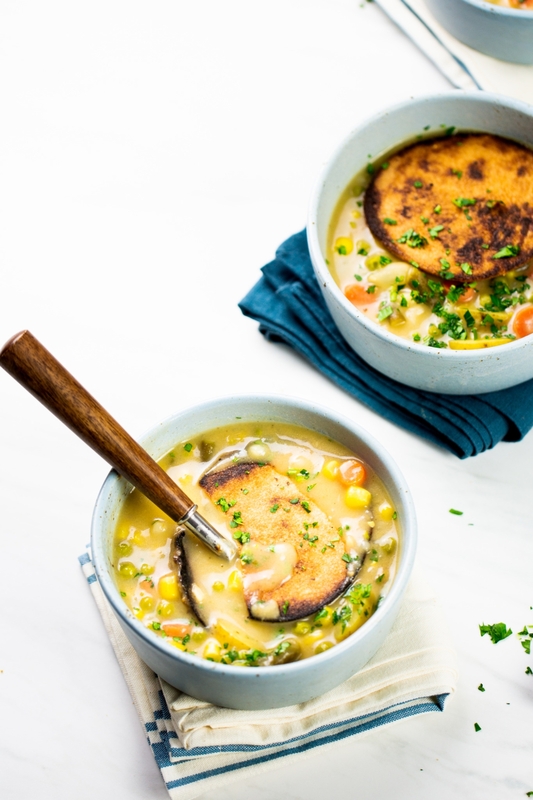 This creamy vegan pot pie soup is the easiest and the most uncomplicated version that you’ll find. 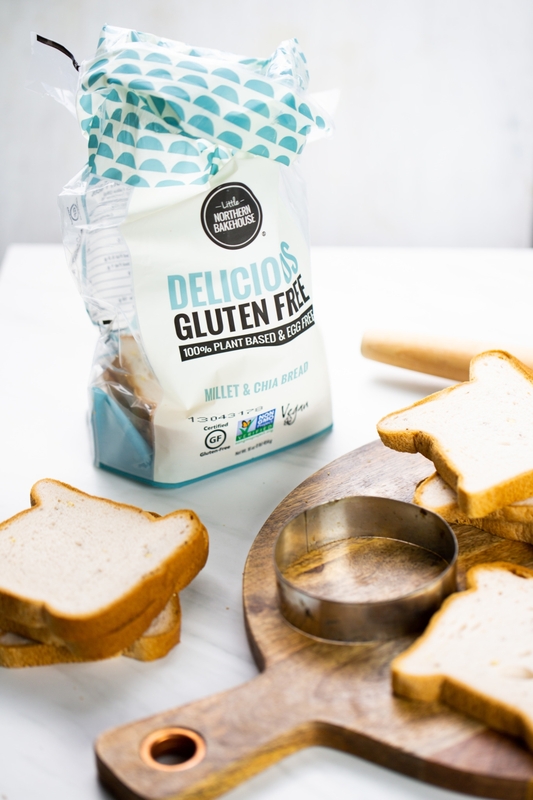 This post is sponsored by Little Northern Bakehouse which makes healthier gluten-free baked goods a truly delicious experience. Can you believe that when I was young, I just couldn’t eat soup? Don’t get me wrong; I feel that I’ve always been a professional eater. I looooove to eat, to savor every bite and identify every single flavor in my food. I love the flavors, the texture, the temperatures, ohhh my god… yes. I love food and everything around it. But when I was young soup just wasn’t my thing. I can’t remember when I started liking it, but I do remember when I started liking pot pie soup. I was recently married, and we were visiting my husband’s grandmother. She always had the most traditional American food at her house. Apple pie. Meatloaf. Grilled Cheese. Pot pies. Pot pie soup. These dishes were all new for me. Well, not entirely new, I just hadn’t eaten them before. But the experience of eating them made traditionally, and in a true American family-house, was also all new to me. She also had the perfect Grandmother look. Grey hair in a high bun, a very warm personality and she was very huggable. So, anything coming from her or her kitchen was a true expression of love. I’ve always tried to recreate those flavors but in a healthier, vegan and gluten-free way when possible. 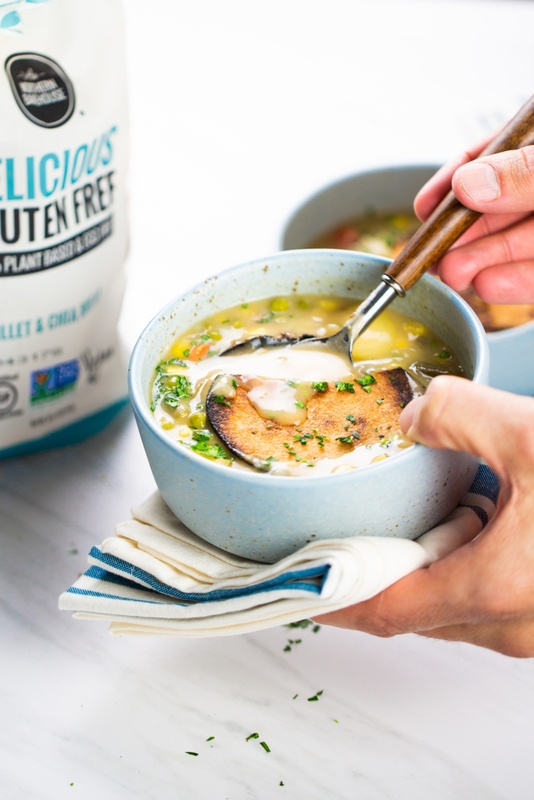 This creamy vegan pot pie soup with millet-chia crust is my version of her chicken pot pie soup. 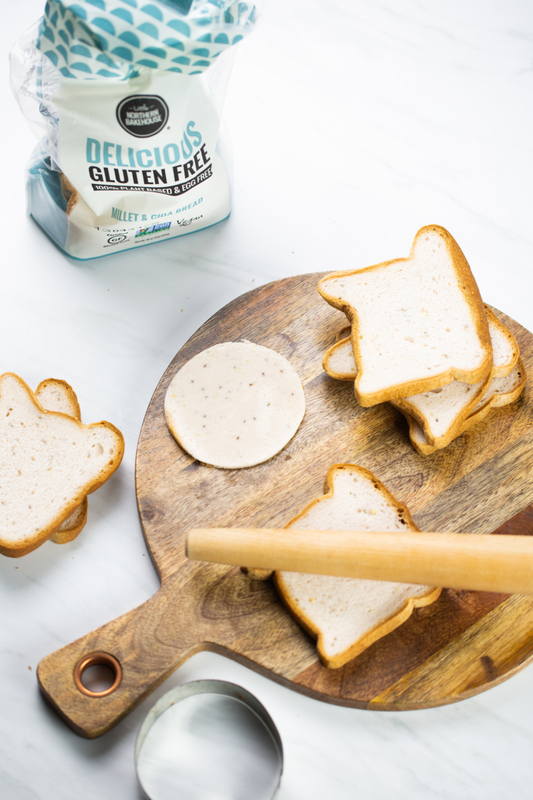 The crust is made by rolling out a slice of Little Northern Bakehouse Millet and Chia Loaf, cutting it into a circle with a cookie cutter, and then toasting it. 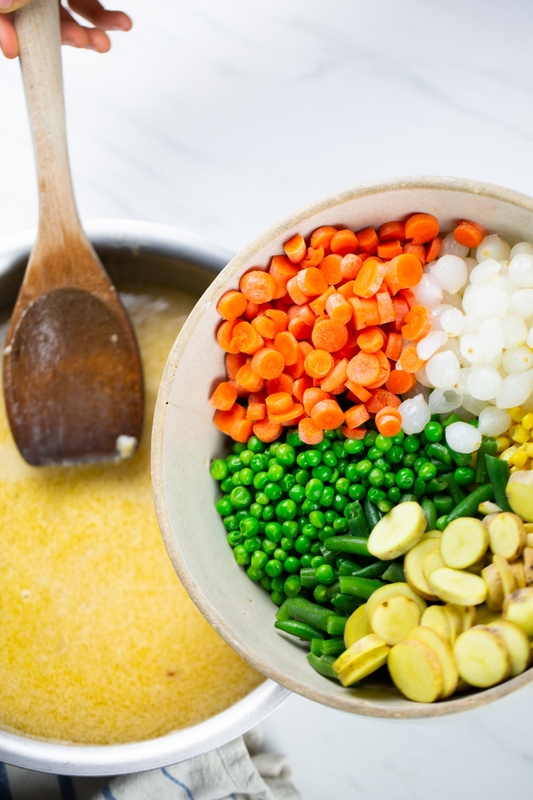 It comes out light and delicious, plus the added millet and chia add a nice crunch, giving it the perfect crusty feeling to every bite of a classic pot pie soup. I hope you like it as much as we do. Hopefully, every spoonful will transport you to your happy place, such as your home, or your grandmas. Don’t forget to share this recipe with your vegan and gluten-free friends; I’m sure they’ll love it. And if you make it, post a picture of it on Instagram with the #brownsugarandvanilla. I want to see everything you make! 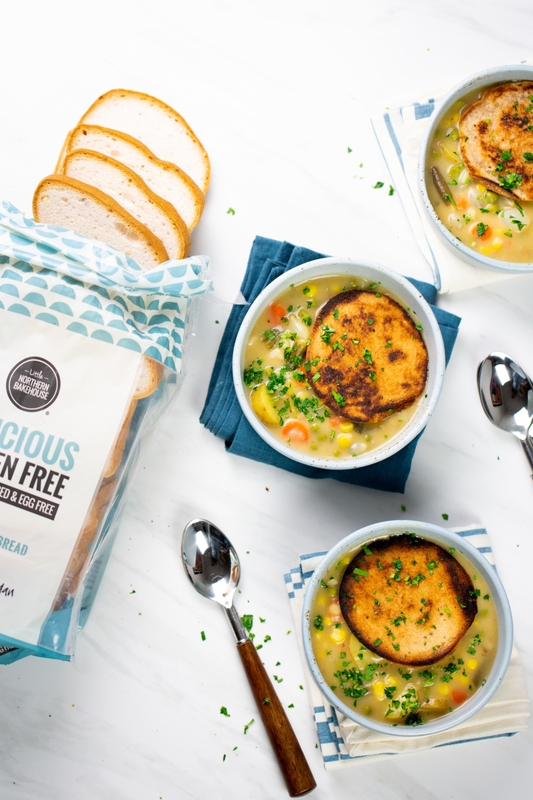 This creamy vegan pot pie soup with millet and chia crust is perfect for lunch or dinner. It is the ultimate comfort food made vegan and gluten-free. It is easy to prepare, full of veggies and loved by everyone. In a large soup pot, heat the extra virgin olive oil over medium heat. Add the onion and minced garlic. When it starts to brown, sprinkle with flour and leave for three minutes moving constantly. Add the vegetable broth, and milk and mix until the flour dissolves completely. Add the navy bean puree. Add the vegetables, salt, and pepper and let it simmer for 20 minutes or until the vegetables are thoroughly cooked. To make the crust, roll out a slice of Millet & Chia bread until 1/8-inch or less thick. Cut it with a cookie cutter and toast on a skillet with butter or olive oil. Thanks, Little Northern Bakehouse for sponsoring this post. Thanks!! It is soooo good!